"But if we don’t tell believers how much more they have, they’ll believe they are bringing knives to the gun fight. We need the deep encouragement and confidence that comes from knowing that sanctification is God and the believer at work, not pitted against one another (Col. 1:29; Phil. 2:13; and the various passages on walking in the Spirit). Let’s preach with Paul that believers in Christ have a new life, and new Holy Spirit power. They are graciously given a new identity and new capacity for good works, holiness, and righteousness (Eph 4:24ff)." Weeky review from my view point.The passed week started with two days for all leaders in the Salvation Army in Latvia. We all met in Skangal for days of information, fellowship and edification. About thirty people were gathered: officers, cadets and directors for the social institutions. 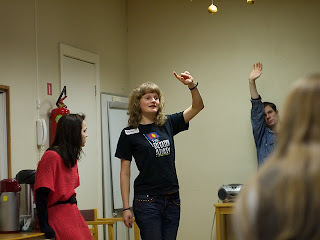 During the days in Skangal we worked with the Ten Step Program, which is translated into both Latvian and Russian. Thursday morning we had an early start. 05:20 we were picked up by the director of Skangal to be transported to the airport. Befor picking us up he had been driving a couple of hours from Skangal to Riga. Thursday Ruth and myself had our monthly meeting with the Chief Secretary and after that we had meeting with the support organisation "The Skangal Friends". Friday we had a board meeting with The Baltic Children Foundation. 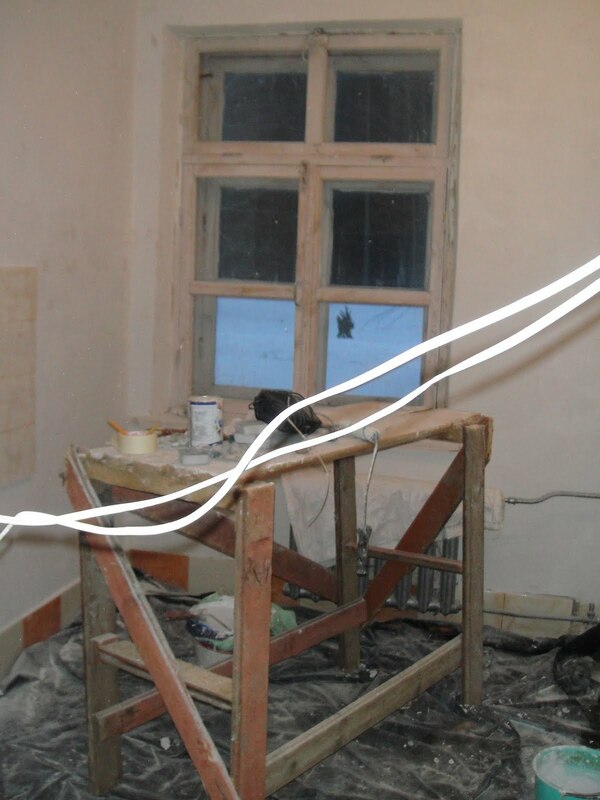 The foundation had during many years supported handicapped children in Latvia. The last year the foundation has also supported our "Change a village"-project in Sarkani. An extra bonus during the visit in Stockholm was the meeting with our second youngest grand child during some hours in a shopping center. She does not seem to trust the the roof in the shopping center. YOUR MISSION STATEMENT IS WHAT ? Corporations and organizations typically devote great energy in formulating concrete business concepts; a "Mission Statement", a mission statement to clarify on what they ought to focus. It ought to be as succinct as possible in order to be easily remembered verbatim. It should answer the questions: Who are we? Who are we targeting? How will we accomplish our goal? · Who (what kind of person) do I want to be? · What is my mission in life? What do I hope to accomplish with my life? · Who do I intend to become? 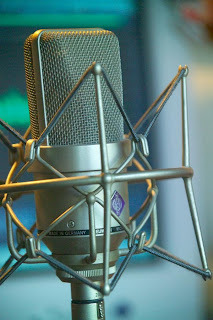 · How ought I work toward that goal? If I have formulated a mission statement for the upcoming year, or indeed for life, it is often easier to make decisions in one’s everyday life. I will, as a consequence, decide in the present what I want to put my time and energy into and concurrently opt out of or give less attention to other things. Paul typically opens his letters with a type Mission Statement. He writes: "Paul, a servant of Christ Jesus, called to be an apostle and set apart for the gospel of God— (Romans 1:1). He knew who he was and his mission. He was able to clearly focus and did not waste time and energy on irrelevant matters. “I want to live close to Jesus, learning to know Him better, listen to and heed His words. That was Paul's mission and one I’ve used in formulating my own ‘Mission Statement’. And yours? If you meet me and don’t believe I live by my ‘mission statement’, please remind me who I claim I want to be. Ruth and Peter Baronowsky Photo by Dace Akermane - From the Latvian "War Cry"
When you knew you were going to be appointed to Latvia, what hopes and dreams did you have? P. Our dreams were very vague because we did not know much about Latvia, so our first aim was to come here, and to see what is happening here, and to find out what we should do while we are here. R. We had a very clear calling; we knew that we were supposed to be here. We wanted to learn about the country be­fore we actually made any plans, but rather early we knew that we were not going to go for big strategies but from the very beginning we had three very clear goals. 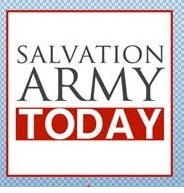 We wanted to see people saved, to preach discipleship for those already saved, and to stick to the third main goal of The Salvation Army to reach out to suffering humanity. The Salvation Army’s social outreach pro­grams for people in need come as a consequence of discipleship. P. So, in the first leaders’ gathering we proclaimed that we wanted to see people saved. Lots of activities are not the most important--the most important is to get people saved. And we have seen it happen a lot; we have also seen big growth in the number of soldiers. TSA preaches the Gospel everywhere – among the poorest, in much better established settings like Riga 1. Everywhere our main purpose is to tell the good news about Jesus that lives can be changed. R. I believe that Christianity sometimes has backed away from the message be­cause we believe it is too tough for peo­ple to receive. I believe in a forward way of Evangelism that is also balanced by holy lives. And if those two go togeth­er – living holy lives and preaching in a straightforward way, we will move for­ward. P. We as Christians should not sit and wait until people will find us, but we should go to them. R. We believe that it applies to all Salva­tion Army people, all soldiers not just officers should be meeting people’s needs. We should be a true army. Eve­ryone should be on their feet. Preach­ing, testifying what Jesus has done in our lives balanced by living holy lives, growing in maturity, growing in Christ likeness. If we would do this we would not only change The Salvation Army but people in Latvia. P. Our social workers are extremely successful in combining social care with spiritual help and guidance. They pray for many people for salvation. We don’t always see these people in our churches because many of them are handicapped and cannot go out. Some of our work­ers have a real gift of speaking about Jesus with people¸ and they are really using this gift in a very productive way. R. Preaching the gospel is always done with great respect for people, but I be­lieve that there is a battle going on. If we don’t believe that people are in dan­ger because they are not saved, we are mistaken. P. For most people active church is going to church once a week, and if you do it every Sunday you are an ac­tive church member. We do not con­sider this an active church member. For us the main thing is what happens between one Sunday meeting and the next Sunday meeting. That is when we live our Christian lives – in our families, our work places, with our friends, in the city. Every soldier is supposed to be an active participant in this spiritual war that is going on in Latvia. Our procla­mation is „Latvia for Christ”. R. The social work must always be a consequence of our Christian faith. There is a risk, and we see it through­out the world for the social work to become the main part, an autonomous work. The social work is what people see and what they like. But we want to stress that our social work is the conse­quence of our relationship with Jesus Christ. In some countries through­out the world the social work has the tendency to separate itself from other work, then we are just a humanitarian organization like everyone else. But in The Salvation Army the social work is always a consequence of our relation­ship with Christ. And it must always stay that way. P. The reason we do social work is that Jesus said we must do social work. God has said, „I care for the fatherless, for the poor, for orphans, for widows, and you should also do that”. In the New Testament Jesus says, „Whatever you do for one of the smallest ones, you do for me.” Every bowl of soup served is really serving Jesus. R. We gather our leaders once a month for Leaders’ days, and we talk a lot about our goals: salvation, discipleship and social outreach. And we encour­age our people to listen to Jesus. If we all listen to Jesus we can all take differ­ent paths to reach those goals. We must never lose sight of Jesus. It is so easy to do that when you get involved in social work. You just see the physical needs of people, and you forget that the physical needs are not the most important. At the same time you can get so involved in church life, and forget that all Chris­tians should reach out. But discipleship is also important. It is not enough that you were saved 35 years ago- you have to grow. Discipleship is a life-time de­velopment. Since you have arrived, what has been the greatest encouragement for you? What have you seen God do? P. TSA has enrolled 28 new soldiers, 18 junior soldiers and we have 8 new cadets starting their three year training to become officers, and these are very encouraging things. R. Peter said 28 new soldiers, but we also have as many new adherents. Sev­eral of them have been saved during this time, and also others have taken the step to become a member of The Salvation Army. P. We are also quite certain that most of these new members are just recently saved people. Often church growth happens when people migrate from one church to another. We have not seen it happen very much. To us that is the most encouraging thing. People have confidence that The Salvation Army can be a place where they can fulfil their calling as Christians. The Salvation Army is only a platform for people to fulfil their calling, and these 8 cadets, and 28 new soldiers, these 18 junior soldiers are a sign that people be­lieve in the concept of The Salvation Army as a means of winning people for Christ. Otherwise people would not en­ter training for three years. They would not dress themselves in uniform if they would not believe that this is their place to fulfil their calling to follow Christ. When you look at these people, what kinds of dreams do you have about their lives? R. We want them to be soul win­ners. P. Many of them are front line soldiers winning others for Christ. R. We have a wonderful group of offic­ers out there. They are the role models for the new ones. What kinds of qualities do you look for in an officer? P. We need different qualities. And our officers are the absolute best match for this work. The main thing is that all these three things are present in their lives – that they would never stop growing as Christians, that they would never lose sight of why we are doing this in spite of lots of practical work – that this is for salvation of people, and they must never lose heart for suffering people among them. R. Right now officers are in training. An officer that has finished training should show certain kinds of qualities – integrity, Biblical knowledge, all sorts of skills, and the training program that we are taking them through includes three fields of training that are of equal value – knowing, being, doing. We em­phasize the knowing part – we want our people to be able to communicate with the world that surrounds them. Know­ing part includes biblical knowledge, theological knowledge, church history, leadership skills, learning about society. The knowing part is very important. The doing part has always been very essential in the Salvation Army. Our of­ficers are working out there and there is lots of practical work, so it is really about learning the principles how we do work in the Salvation Army. And the third is the being part, which is about integrity and implementing good habits and routines. If a person does not learn how to grow they will not stay in the long run spiritually. What is it that draws people to Sal­vation Army church? P. I think that there is a hunger in peo­ple, especially younger people, but also older people to have vision that they are willing to give their life for. All people have longing to have something to burn for; burning for something is really liv­ing, and you cannot burn for something if you are half-hearted about it. Some­thing that is attractive about Salvation Army is a fact that it is not a hobby. If the only expectation for church is to listen to latest news from your pastor every Sunday, that could be nice, but that is not the thing that will grasp your life. You have to be burning for a mis­sion. I believe that it is as it should be, and it is attractive when people join the Salvation Army. R. People also need love. They need care. And they need joy. We recently talked to some young people who came for the first time, and they said that they would definitely come back because they experienced so much warmth here. Also social work. It is available for people regardless of whether they accept the gospel. But when they come for social help they also meet people who love Christ. P. The reason Salvation Army was started because there were people there who did not belong in ordinary churches – they smelt the wrong way, they looked the wrong way. William Booth took these people to regular churches but they were not welcomed there. When people are saved they leave behind life of alcohol. The second gen­eration lives in a decent way, does not have alcohol problems, they are often higher established middle class people, and the risk is always that the third gen­eration does not have the same respect for people that are coming in from the streets, making noises in a meeting be­cause they are drunk. We are lifting up people, but as generations go by there is a risk to forget who we are. It has not happened in Latvia very much yet, but if we are successful it will happen be­cause we are helping people leave their past. Are there hopes and plans to estab­lish more churches in Latvia? P. We have been asked to start Salva­tion Army in new places. Sometimes local Christians ask us, sometimes lo­cal authorities who see what we do in neighbouring villages, sometimes our members have a vision about a cer­tain place. We always want to do much more than we really can do. We have started a lot of building projects, we have more than 80 employees in this country, every program costs money, and even if all our soldier are tithing many of them are people with zero in­come, and ten percent of zero is not very much. So we don’t have support from the church that a well established middle class church would have. We are always looking to find new resources and seeking to open new things. Now in short time we will have eight new of­ficers. That will increase our opportu­nity to open new corps. R. TSA also has big social institutions like our orphanages. There is still a great need for orphanages in Latvia. We try to make our orphanages as caring and loving as possible. We want to show the love of God to those children. P. That goes for all our social work. Most organizations have as their goal to grow; we would be very happy to close all our social programs because they are not needed anymore. But as long as people are still starving it is needed. We mainly finance our orphan­ages ourselves. The local authorities are paying fees but in crises time these fees go down, and our costs stay the same. An increasing part of the cost for each child is paid by the Salvation Army. How do Salvation Army orphanages strive to be different? P. We talk about God in our orphan­ages. R. There is love and care there. The children need embrace and love, they do not need distance. They have had too much distance in their lives al­ready. If you had all the money in the world, what projects would you start? R. We would create a house for chil­dren in Sarkani. We have several such villages, and we would like to put a chil­dren’s house in every such village, so the children could shower and have a place that is warm. P. The centre for outreach ministry in Riga is also very much needed. Last winter we handed out food packages for people worth 27 000 Ls. R. We would also like to increase our volunteer program, and to involve prominent and skilled people from society. For example, we would like to have a dentist who could fix peoples’ teeth; very many people have poor den­tal health. We see it even in young chil­dren. This could be helped by dentists who would volunteer one day or more a month to help. We would also like to train a catastro­phe response team who would be able to help in floods and other disasters. Right now we have the „Change a Vil­lage” program in Sarkani and social outreach program in Riga. .
P. We also have a dream to include a sewing ministry in our outreach center. We would like to start to teach these people a skill – to get people started in their own maybe low scale business. Many of these people don’t have a lot of education but they can do some things. People need to have jobs for this country to have tax payers again. For somebody to wake up in the morn­ing and to have a job enormously raises his/her self-esteem. We would also like to help children with school and homework and their read­ing skills. We would like to teach people how to cook, how to have family par­ties without alcohol. Even if we cannot change every adult we can change the lives of some of the children. Other­wise all these kids may become alcohol­ics. R. We should not, of course, forget the places in Latvia where we have been for a long time, where steady work has been going on week by week. P. We are extremely thankful and aston­ished about all the things that have been accomplished since we came, and how many doors that have been opened. When we had the hands, God was ready to put a ministry in these hands. Last winter was a maximum crisis win­ter in Latvia, next could be as cold. So you see Christ restoring this land through Salvation Army, and you can be part of it? P. TSA ministry is giving hope where there is no hope that it is possible to change. TSA teaches that life can be changed, society, values can be changed. It is worth doing something. R. We want to start with individuals – if you change an individual you can also change the society. We need every soldier, every member, every adherent on their feet! This is not just the offic­er’s work. If we can get the whole army on their feet, we can change the world. We want them to listen to Jesus, to ask Jesus where He wants them to go to help. We have to listen to Jesus what He wants us to do, and He has been amazingly clear putting visions into our hearts. This is not just for the leaders, it is for every soldier and adherent. Salva­tion Army is all of us. 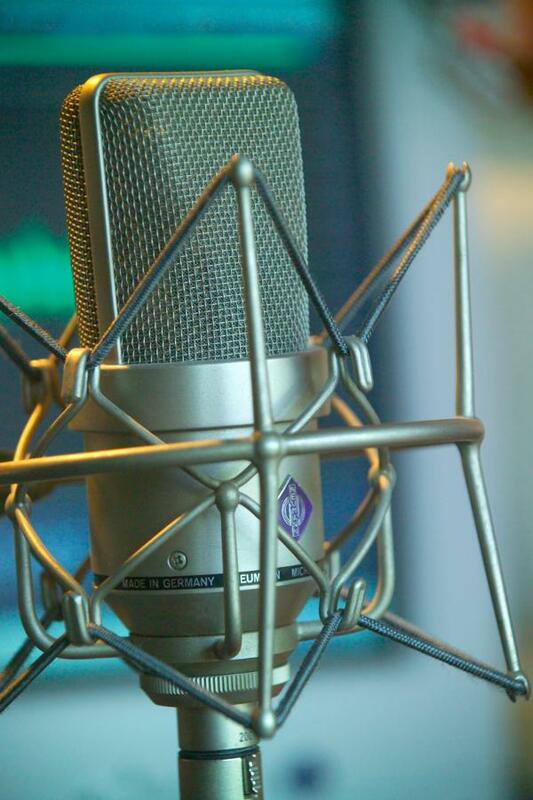 Another interview with Ruth and Peter Baronowsky in Latvian Christian Radio. The introduction is in Latvian, but our comments will come in English. THE past, the present and the future were all featured during the Welcome to the 2011 High Council and Retirement Salute to General Shaw Clifton and Commissioner Helen Clifton at the Lancaster London Hotel on Saturday 22 January. It is getting lighter and lighter every day. We are on our way towards spring. 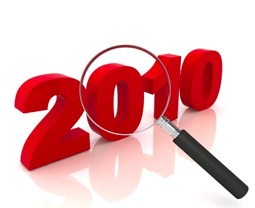 This week we have continued our yearly assessment talks with all officers and other leaders. This week we met Arja. She is one of the real pioneers in Latvia. She was on the barricades 1990 in connection with the liberation. She was the one going to the authorities claimning back the Salvation Army House in Riga. Ten years ago she started an outpost in Ilmaja. At that time she was 70 years old. Today she is gathering some thirty people to services and home league meetings. People who would otherwise never have been in contact with the Salvation Army or with any other church.The meetings are held in a house in Ilmaja. As a matter of fact it is the only house in Ilmaja, expect for the old railway station. Since there are no people living in Ilmaja, Arja´s son is picking up people in the surrounding villages with a twenty year old mini-van. In December, this year, Arja is turning 80 years old, but she has no plans of quitting the work as a Salvation Army Officer. She plan to continue to lead the work in Ilmaja Outpost with their 15 adherents. If you want you can read more about Arja in an interview here. Friday afternoon we brought the staff at the Regional Headquarters to our yearly Bowling competition. I did not win this year either, but you have to give the young people a chance. Perhaps we have to find another sport for our competition next year if I will have a chance to win. Now it is Sunday morning and soon time to go down to the meeting at Riga 1 corps. Tomorrow starts a new intensive week. It starts with a two day gathering of all officers and other leaders at Skangale. After that we will go to Stockholm for meetings with the "Friends of Skangale", The Baltic Children fund and the Clapham Institute. And by then it is almost Sunday again. Until then I wish you will have a blessed week. The 17th High Council convenes on Friday 21 January 2011 at Sunbury Court, United Kingdom, to elect the 19th General of The Salvation Army in succession to General Shaw Clifton who will retire at midnight on 1 April 2011. This will also be the largest-ever High Council with 109 members – 57 women and 52 men. (From: http://hamiltonsa.blogspot.com/ ) The Skangali Manor is located in rural Latvia, about 110 km North East from its capital Riga. Following the Soviet invasion and the second World War the manor became the property of the Soviet army until Latvia’s independence when the property was returned to its legal owner the Palme family, however in deplorable run-down conditions. The Palme family (Sweden’s assassinated Prime Minister) donated the manor to the Salvation Army. We made a small back room our home for our three day stay and from here we made excursions to The Salvation Army’s outposts, one in Sarkani and one in Seda. Captains Sergej and Aizan co-ordinate the work in both centres comprised of mainly children’s ministry to children of alcoholics. On Tuesday evening we celebrated Christmas with the Aizan and “our” 23 children. All live in flats assigned to them by the government and all adults are full fledged alcoholics spending every available Laht (currency) and the occasional sexual favour on their habit. In The Salvation Army’s two renovated flats the children are provided meals, education, recreation, warmth, hygiene, but most of all tons and tons of love. Last night we made our way to Seda some 45 minutes further northeast. Seda was a village of 4,000 inhabitants nestled in a pine forest some five miles from a major road. Subsequent to Latvia’s independence and no longer receiving subsidy along Soviet formula lines, and without any promise of employment, half of the village population, including all able bodied men, left for parts unknown. What’s left are row after row of abandoned three story apartment buildings with crudely arranged Christmas lights burning in the odd occupied room. The Mayor promises a free flat to any one willing to call Seda home. The only building with permanent residents is the city’s home for alcoholics, located strategically across the street from the building donated by the city for the Army’s use. The corps building will be renovated by a team we will lead in June 2011. More than 20 children were awaiting our arrival. Most of the faces were familiar as we had met them twice before. We experienced intermittent power outages during our Latvian visit lasting from a few minutes to several hours so the children were prepared with each keeping a candle nearby to make certain they could identify which of the candies we tossed on the table would be theirs and which toys would they claim as their own. Following the gift distribution we were treated to an impromptu concert with the children singing Latvian Sunday School Songs and Christmas Carols. This was followed with hot chocolate, much welcomed as it was freezing, home made frosted donuts and gingerbread cookies. Glad and I then made an inspection of the building to ascertain just how much paint and equipment we would need to bring with us in June when we tackle the renovation project with our ‘mission 2011 team’. We will now begin our drive back to Riga, it snowed during the night, and our flight back across the Baltic towards our other home. The Skangali manor, located in rural Latvia, became the property of the Soviet Army however, subsequent to Latvia’s independence the property came into the hands of another Army, The Salvation Army. The manor was renovated and now comprises the main residence, seven large out-buildings with granite walls and about 50 acres of land. The Salvation Army built an additional building which houses a children's home. In the manor's rebuilt barn, the army has operated a primary school for 10 years and a planned spiritual development centre lies in the future. Unknown to The Salvation Army their nearest neighbours were alcoholic families relegated to living in former Soviet Army barracks vacated following Perestrokia. The village is comprised of thirty alcoholic families and the village inhabitants include 23 children, most of them under 12 years of age. On learning of their existence The Salvationist neighbours stepped in and renovated two flats to serve as ‘safe houses’ for the children. These are projects that Sven and Glad Ljungholm of Hamilton have been in the forefront in co-ordinating both individually and with a team comprised of Salvationist friends from throughout the UK. To date more than 10,000 pounds has been collected and used in providing services along with building supplies and clothing for more than 600 children. Glad and Sven are in Sakarni this week hosting a Christmas party for the abandoned children of Sakarni. Until they stepped in a year ago the children had no lunch provided at school as their parents didn’t provide the necessary funds the money was used to support their drinking habits. Sven, a former Salvation Army Officer called on other former Officers all members of a worldwide fellowship and the necessary funds were immediately collected to support the feeding of the children through the entire school year. When the school day ends at 5.00pm the children are no longer confined to their family flat or the nearby woods hiding from the reality that is their life, but now go directly to the Army’s two ‘safe houses’ where the Captain and his wife provide them the love and support needed for their emotional well being. Glad and Sven are on their fourth mission to the village of Sakarni in the last 17 months and will lead another mission team in June 2011. It has been an unusual week. We have had vacation. We have left the work in Riga to have a break. We have of course had daily contact with the office through e-mails, but even though it has been a very relaxing week. -”Sky” by Deidre Purcell. A book just for pleasure in John Grisham-style. Our cultural horizon has also been expanded by watching a movie. When we spoke to the cadets before we left they were surprised to understand that we have not seen any of the films about Narnia. To help us overcome this lack of knowledge in such an important field they borrowed us a DVD with the first Narnia-film by C.S. Lewis. It a was good film. They say there are more films about Narnia. We will ask the cadets when we come back. During the week the message reached us that Ruth´s aunt Karin has passed away. She was born 1911 and died 2011 and she almost reached the age of 100. She was the longest living in a family with seven children. Four of the siblings became Salvation Army Officers and the three others were very active in different other churches. Aunt Karin used to play the organ at the Mission Church in Vallby in the southern parts of Sweden. Now we are on our way home and we expect to reach the harbor in Riga on Monday morning to start a new week at the Regional Headquarters. Can you tell about your relatives in The Salvation Army in Latvia before the war. I had a Grandma Franceska Balshaitis, she had a sister Elisabeth. They were five children in the family. Elisabeth, I think, was the eldest, Franceska was the next one. They were both Latvians. My Grandma married an English man, Gordon Simpson, my Grandpa. Gordon Simpson was an officer in TSA, a Commissioner, thus he was often in charge of the Army’s work in other countries. I think from 1930-1931 he was the Divisional Commander here in Latvia. This is where he met my Grandma. They went to Finland, where they spent 3 years. They got married there and my Mum - Margaret was born. Then they moved to Jamaica, where they spent 8 years working and my Mum’s sister Marylla was born. Then their life looked like this: 4 years in Chicago, 3 years in Denmark, 3 years in Norway until they came back to England. In most of these places they fulfilled the duties of Territorial Commanders. While they travelled the world, my Grandma’s sister Elisabeth lived in Latvia. When the war began, all foreign officers had to leave Latvia, and seeing as the documents related to Bruninieku street building during that time were signed by her, she must have taken on some leadership. She has also written something about that time, when the work of TSA was stopped. I know that Elisabeth was also the editor of War Cry, and had also been the leader of Riga I Corps. During the war she went to England. When I was born, my Grandpa had died and both sisters lived together. That is how I remember them. They lived five doors down from us. I usually met them both on Sundays in Army services. They usually sat with me. When I was little, they did not take me to the evening meeting. Instead Aunty Elisabeth would stay and look after me. Do you remember what they were like as people? They were both linguists, they loved education, which I think is quite characteristic of Latvians. They were always doing crosswords. They both spoke six languages- Russian, Latvian, English, French, Swedish and German. Elisabeth always worked as an interpreter, even when she lived in London. Aunty Elisabeth was very close to me. She always played with me, always gave me sweets. She loved birds and nature. Grandma Franceska was a bit more remote. She did not always see the bright side of life. But meeting new people, she wanted to get to know them so much that she nearly pinned them to the wall with countless questions. They both loved people a lot. Have you got any special memories of them from your childhood? I remember about Elisabeth. She was in her eighties then, when I got a computer for my birthday. I was fourteen. Usually when people are that age, they are not bothered with technical things. Grandma, for example, did not get anything about technical things. There was one occasion when she phoned me and asked to come as her tape recorder was not working. She was going blind then and had all this stuff from the Blind Association to listen to at home. When I got there, all that had happened was just that the tape had got to the end.. In comparison, when Aunty Elisabeth found out about my new computer, she wanted to know how it worked. She was interested in technologies. Actually she was interested in everything new. She was always reading and was very curious about everything in life. She was a very clever person. They had both graduated from a school in St. Petersburg with high grades. They encouraged me to study as well. Did something shape you as person? What did you take from them? Definitely. From Aunty Elisabeth I have taken a real love for people, because she really loved me. She always found time for me even when my parents did not; as they had three other children and did not always have time to listen to me. She taught me to give time to people. That is important. There were probably other things, just at that age I might not have been aware of it. I remember when I was about fifteen years old; I was in a park with Aunty Elisabeth. I had the opportunity of taking a summer job, but I was nervous to accept it. Elisabeth just went crazy. She said: „You have grown up now. You cannot just rely on your parents all the time. You have to take that job, sort yourself out”. This was like a kick in my backside. She had never spoken to me like that before. The job was in my Dad’s accountancy company, and I took it. Do you know what they were like as leaders? No, unfortunately not. No one has ever told me that. They did not like to speak about the time they spent in Latvia. Franceska found it very difficult, as she had to leave the fam¬ily behind; she could not go back. Aunt Elisabeth also experienced quite a lot during the war, so they did not like to speak about it. I never saw them as leaders myself. When I knew them, they were already retired. Of course, at that time when you joined the Army, it was of some cost to yourself. They were radical Christians. They were of Catholic background, and it was a major change for them. There is a story about how Aunt Elisabeth got saved. She was working in a lawyer’s office, and she had been to see some Catholic Priest to find some answers about God. Ap¬parently he just gave her some books, told her to read them and sent her away. That did not help. Then one evening as she was sitting at the lawyer’s office reading the Bible she just understood, that she had to give her life to Jesus. She knelt and she did it. Then she became an officer in TSA. It was not easy for their Mum, who was Catholic, to see two of her children joining TSA. I think the main focus of the Army in that time was the salvation of Latvia. That definitely was their passion. To see people getting saved. What do you think about God fulfilling His plan through generations? I do think it is a bit strange that I am in Latvia now. May be there will be people to who it will sound weird, that several generations might carry out a specific plan of God. When God asked me to come to Latvia, I remember thinking- oh dear, what is happening, the circle is closing. Both of them were taken away from this country, but God brought me back. What do you think you have to do in this country? How did you understand that you had to come to Latvia? Was it as sudden as the lightning or was it a gradual revelation? I trained to be a teacher. Not because I wanted to teach in schools. I wanted to teach the Gospel and Christian things. I wanted to understand how a human brain works, how people learn. I worked a year in school and then started working in Christian ministry. After several years, I knew God wanted me to work abroad. I had an idea that it might be here, but it was rather difficult to come here at that time. That was the time, when TSA in Latvia had just restarted its activity. We had family in Latvia, so they kept us informed on what was happening there. In July next year you will be commissioned as an officer in TSA. What do you think Franceska and Elisabeth would say if they could be there? They probably would not believe it. Maybe they would believe that I had become an officer. But they would find it harder to believe that I am in Latvia. I do not know what they would say: ‘Well done! Keep going! We are proud of you!’ I think they would mostly be moved with the fact that I am in Latvia that would be their main emotion. Anyway, they know I am here. And sometimes I wonder what they would say. "My first memories are from a far away Island Jamaica. My sister Marylla and I gradually became aware that we were not Jamaicans, but that our dad and his family were British and mother had all her relations in another far away country Latvia. This did not mean much to us at the time. Mother had a very colourful national costume, and one day she made Latvian costumes for us and for our dolls. Dad took a film of us in these, sitting in the heat of our tropical garden having a tea party. We also had a few children’s books written in a very strange language, and this was Latvian, but this was about all we knew. At the age of eight I became aware that a terrible thing had happened- a war in Europe. There was great sadness and fear for the safety of the relatives we did not yet know. Mother had very little news of her family for a long time. When Soviet Forces took over their lovely country many restrictions were put on the Latvians.. All letters sent out of the country were censured, so people were afraid to tell how bad conditions were for them. 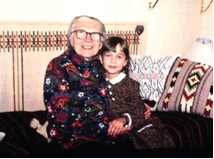 Mother could only try and read between the lines what life was really like..."
A fragment of Margaret Mitchell’s childhood memories (Franceska’s Daughter, Sarah’s Mum). Last summer a volunteer group from UK visited Latvia to do practical and spiritual ministry in the villages of Seda and Sarkani. On the blog: www.hamiltonsa.blogspot.com you can see pictures from the trip. Enjoy! Sven Ljungholm is also posting an article about Latvia here. 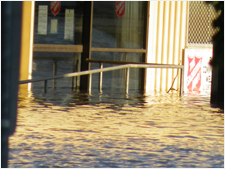 SALVATION ARMY emergency services personnel from the Australia Eastern Territory have been working around the clock for a number of days in their relief effort to help tens of thousands of people impacted by an ‘unprecedented’ flood crisis in central and south-east Queensland. Expectations are that the worst is yet to come for many areas. What used to be basic, universally-known truths about Christianity are now unknown mysteries to a large and growing share of Americans--especially young adults. For instance, Barna Group studies in 2010 showed that while most people regard Easter as a religious holiday, only a minority of adults associate Easter with the resurrection of Jesus Christ. Other examples include the finding that few adults believe that their faith is meant to be the focal point of their life or to be integrated into every aspect of their existence. Further, a growing majority believe the Holy Spirit is a symbol of God's presence or power, but not a living entity. As the two younger generations (Busters and Mosaics) ascend to numerical and positional supremacy in churches across the nation, the data suggest that biblical literacy is likely to decline significantly. The theological free-for-all that is encroaching in Protestant churches nationwide suggests the coming decade will be a time of unparalleled theological diversity and inconsistency. Despite technological advances that make communications instant and far-reaching, Christians are becoming more spiritually isolated from non-Christians than was true a decade ago. Examples of this tendency include the fact that less than one-third of born again Christians planned to invite anyone to join them at a church event during the Easter season; teenagers are less inclined to discuss Christianity with their friends than was true in the past; most of the people who become Christians these days do so in response to a personal crisis or the fear of death (particularly among older Americans); and most Americans are unimpressed with the contributions Christians and churches have made to society over the past few years. As young adults have children, the prospect of them seeking a Christian church is diminishing--especially given the absence of faith talk in their conversations with the people they most trust. With atheists becoming more strategic in championing their godless worldview, as well as the increased religious plurality driven by education and immigration, the increasing reticence of Christians to engage in faith-oriented conversations assumes heightened significance. Largely driven by the passion and energy of young adults, Christians are more open to and more involved in community service activities than has been true in the recent past. While we remain more self-indulgent than self-sacrificing, the expanded focus on justice and service has struck a chord with many. However, despite the increased emphasis, churches run the risk of watching congregants’ engagement wane unless they embrace a strong spiritual basis for such service. Simply doing good works because it's the socially esteemed choice of the moment will not produce much staying power. To facilitate service as a long-term way of living and to provide people with the intrinsic joy of blessing others, churches have a window of opportunity to support such action with biblical perspective. And the more that churches and believers can be recognized as people doing good deeds out of genuine love and compassion, the more appealing the Christian life will be to those who are on the sidelines watching. Showing that community action as a viable alternative to government programs is another means of introducing the value of the Christian faith in society. From www.FSAOF.blogspot.com © Barna Group 2010. Our biblical illiteracy and lack of spiritual confidence has caused Americans to avoid making discerning choices for fear of being labeled judgmental. The result is a Church that has become tolerant of a vast array of morally and spiritually dubious behaviors and philosophies. This increased leniency is made possible by the very limited accountability that occurs within the body of Christ. 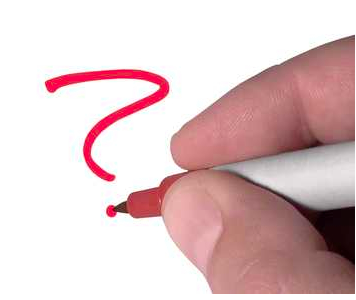 There are fewer and fewer issues that Christians believe churches should be dogmatic about. The idea of love has been redefined to mean the absence of conflict and confrontation, as if there are no moral absolutes that are worth fighting for. That may not be surprising in a Church in which a minority believes there are moral absolutes dictated by the scriptures. The challenge today is for Christian leaders to achieve the delicate balance between representing truth and acting in love. The challenge for every Christian in the U.S. is to know his/her faith well enough to understand which fights are worth fighting, and which stands are non-negotiable. There is a place for tolerance in Christianity; knowing when and where to draw the line appears to perplex a growing proportion of Christians in this age of tolerance. In a period of history where image is reality, and life-changing decisions are made on the basis of such images, the Christian Church is in desperate need of a more positive and accessible image. The primary obstacle is not the substance of the principles on which Christianity is based, and therefore the solution is not solely providing an increase in preaching or public relations. The most influential aspect of Christianity in America is how believers do--or do not--implement their faith in public and private. American culture is driven by the snap judgments and decisions that people make amidst busy schedules and incomplete information. With little time or energy available for or devoted to research and reflection, it is people’s observations of the integration of a believer’s faith into how he/she responds to life’s opportunities and challenges that most substantially shape people’s impressions of and interest in Christianity. Jesus frequently spoke about the importance of the fruit that emerges from a Christian life; these days the pace of life and avalanche of competing ideas underscores the significance of visible spiritual fruit as a source of cultural influence. With the likelihood of an accelerating pace of life and increasingly incomplete cues being given to the population, Christian leaders would do well to revisit their criteria for "success" and the measures used to assess it. In a society in which choice is king, there are no absolutes, every individual is a free agent, we are taught to be self-reliant and independent, and Christianity is no longer the automatic, default faith of young adults, new ways of relating to Americans and exposing the heart and soul of the Christian faith are required. This summary is based upon a series of national research studies conducted in the Barna Poll by the Barna Group throughout 2010. Each study was conducted via telephone interviews with a random sample of adults selected from across the continental United States, age 18 and older. With one exception, each study included a minimum of 1,000 adults; the exceptions were one study among 400 adults, and one among 603 adults. Each survey included a proportional number of interviews among people using cell phones. The data set for each study was subjected to minimal statistical weighting to calibrate the aggregate sample to known population percentages in relation to several key demographic variables. Mosaics are individuals born between 1984 and 2002. Baby Busters are individuals born between 1965 and 1983. Another week has passed and that week brought us into a new year. The first of January, Ruth and I drove the 70 km down to the corps in Bauska to participate in a Soldiers enrolment and welcoming of new adherents.Three soldiers and ten adherents (see pictuer above). A snowstorm followed us all the way to Bauska and only the main roads were cleaned from snow. One of the new soldiers had to walk 8 km in deep snow to be able to come to her own soldiers enrolment. ...and here you can see many other pictures from the meeting. 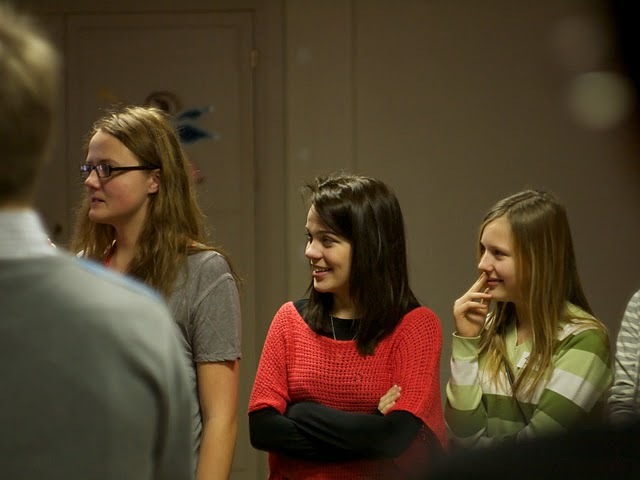 Earlier during the week there was a youth gathering at Riga 1 during two days. I can not tell you very much about the event since I have not reached the qualifying age to participate, but here are som pictures from the event, and here you can see many more pictures. In december I included a new visitor counter at our web-site, Flagcounter. It shows that during the month of December we have had 8.856 visits by 3.048 unique visitors from 46 different countries. I wish all of you a blessed and happy new year!